As influencer marketing has matured as an industry, support services and tools have sprouted up alongside it. There have always been advertising and marketing agencies, but there are now many specialist influencer agencies. We recently looked at the Benefits of Using an Influencer Marketing Agency. Influencer marketing agencies now operate around the globe. We have previously taken a region-specific look at influencer agencies in the UK, Australia, Latin America, and South Africa. 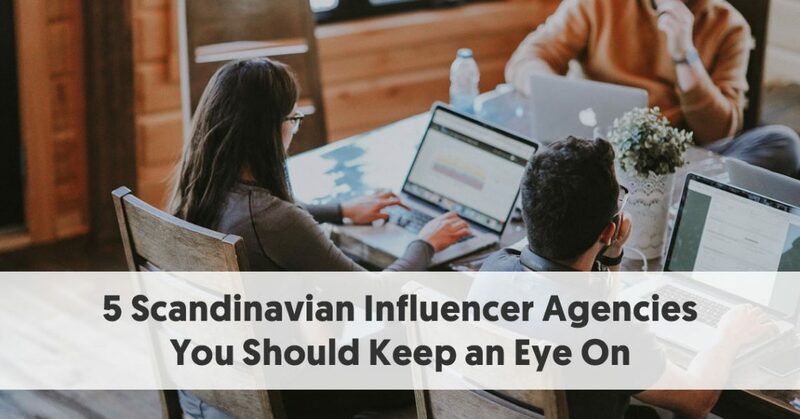 We now turn our attention to the Nordic region, with this insight into Scandinavian influencer agencies you should keep an eye on. 6Degrees is a boutique influencer agency based in Copenhagen, Denmark. It has expanded its operations and now has satellite offices in London and New York. It works with its clients to develop creative strategies that leverage the world’s most effective and authentic social influencers. This includes all phases of the influencer marketing cycle, from identifying and activating influencers to managing campaigns as they go live. 6Degrees believes it can simplify influencer marketing efforts in ways software solutions can’t. It backs that claim up with in-depth measurements and reporting, providing hard numbers for reach and engagement while gleaning insights to make future campaigns even more targeted. 6Degrees sees influencer marketing as being much more than just getting a message in front of as many faces as possible. It sees a clear distinction between influencer marketing and celebrity marketing. It views a brand’s marketing as being the story they want to tell audiences, a story that it is happy to help write. They work closely with a client to understand the background and personality of their business (its past). It also wants to know the brand’s marketing objectives (its future). 6Degrees sees its role is to create everything between those two points – the story it has to tell. 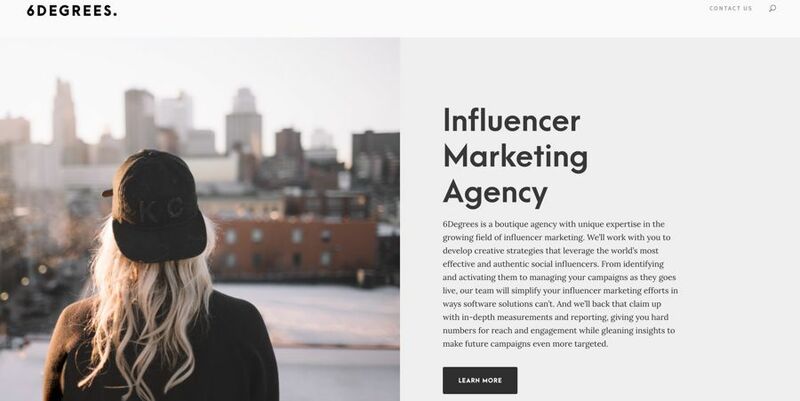 It carries out all of the typical influencer marketing agency services, such as influencer identification, relationship management, influencer campaign management, campaign measurement, and campaign reporting. United Influencers calls itself the next generation marketing company. It was born in Norway in 2014 when influencer marketing was still in its nascent stage. Its initial mission was to professionalize the industry and to prove that bloggers could give amazing ROI when cooperating with brands. It has now grown to a team of 40, covering the entire Nordic region and beyond. Although United Influencers is still headquartered in the Nordics, it currently operates globally. Its team members are located in both Sweden and Norway. Clients include name brands, including L’Oréal, Nescafe, The Body Shop, Essie, and more. Cure Media is an independent influencer marketing agency that helps brands and advertisers find the right social media influencers, based on the data and experience of more than 4,000 previous influencer collaborations. They help with ideas, concepts, implementation, and follow-up/reporting. Cure Media can provide influencer services for blogs, Instagram, YouTube, and Snapchat. It realizes how most influencers are niche-focused, so the critical part of successful influencer marketing is matching brands up with the right influencers for the niche in which their target audience spends most of their time. It recognizes that influencers have spent years building credibility and relationships with their readers as well as followers. For example, three out of four blog readers in Sweden have bought a product recommended by a blogger. Cure Media has systems that help them suggest the right influencers for a campaign. It gives each campaign a dedicated project manager. They work to choose influencers who have a majority of followers in the client’s market – Cure Media guarantee that the influencers’ followers are genuine. It also provides tools to measure the outcomes and effects of influencer involvement. Some of Cure Media’s better-known clients are Samsung, 7-Eleven, Coca-Cola, Electrolux, and Puma. SMAC Agency claims to be the biggest influencer agency in Denmark. The agency was founded by Penile Caroline Lotus in 2015. It represents carefully selected influencers in Denmark, and makes campaigns throughout other Nordic countries, across different categories. Some of SMAC Agency’s influencers are leading influencers in Denmark. Their influence covers a range of blogs and social media networks – Instagram, IGTV, Snap Chat, YouTube, and Facebook. It runs an associate company, Hippo Marketing, which represents a selection of the best Danish YouTubers. SMAC Agency helps brands with the strategic planning of social media exposure. It assists brands to identify their target social media groups and in turn the best social brand ambassadors. It covers every step of the process from the initial planning through to the tracking and data analysis at the end. It activates its clients’ social media activities and makes sure all data is tracked and measured. It uses a third party, Woomio, to collect and analyze all data and deliver reports and statistics based on the KPIs relevant to each brand. NYLON Studio believes in transparency and simplicity. It offers strategic development, content creation, art direction, and execution of clients’ social media marketing campaigns focusing on the power of influencers to inspire and move the target segments. It believes that the backbone to their strategic process is the belief in the power of people to move people with trustworthy content that stands out. It is a full-service agency offering strategic development, content creation, art direction, and execution of social media marketing campaigns. It focuses on the power of influencers to inspire and move their clients’ target segment. It works with both mega (>100,000 followers) and macro-influencers (10,000 – 100,000 followers). Custom Package – using specific mega influencers.